- We provide one-stop CAD/CAM and Front End Solutions for PCB Manufacturers. - We offer a range of PCB CAM outsourcing services to help you grow your business, cut your costs or reduce enterprise risks. India is one of the most popular outsourcing service providers in the world. Indian cad service providers do not just offer cost effective solution but also improved the productivity and quality. Aj CADD WORKS is a leading cadd service provider from India and offers a top quality cadd services. CAD Outsourcing is one of the leading knowledge outsourcing firm in India. We offer cad drafting and designing services from India. Our cad drafting services includes HVAC drafting, HVAC drawing services, HVAC Coordination drawing, HVAC Detailing, Mechanical pipe fabrication drawings, HVAC Duct fabrication Drawing. 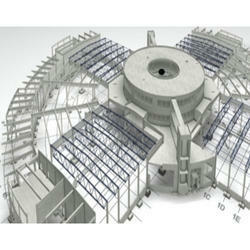 We are Architectural expert in providing wide range of CAD Outsourcing Services. We provides engineering specific CAD Design, CAD Drawings and CAD Drafting Services to enable , engineers and construction firms to design and structure buildings. Intelogicx is your most dependable CAD Outsourcing partner from India, providing comprehensive range of CAD services to accomplish all your computer aided drafting needs at affordable prices. CAD Outsourcing is a reputed organization that holds its strong grip on CAD based services at International platform along with Indian horizon. Our team of expert professionals is well-trained, knowledgeable and experienced to tackle every type of project within the given time limit. Being a trustworthy name in the industry, we are able to offer a superior quality array of CAD Outsourcing Services to our patrons. We has expertise in offering core design services to automotive as well as other engineering industries. We now have assembled a team of dedicated personnel to serve the global community. We offer design development, drafting of execution drawings, 3D CAD modeling, 3D presentation, animations and outsourcing of supervision and implementation of design.